Please join for blood donation camp on August 16th from 8 pm to 12 midnight at Dubai Grand Hotel, Al Qusais, Dubai. 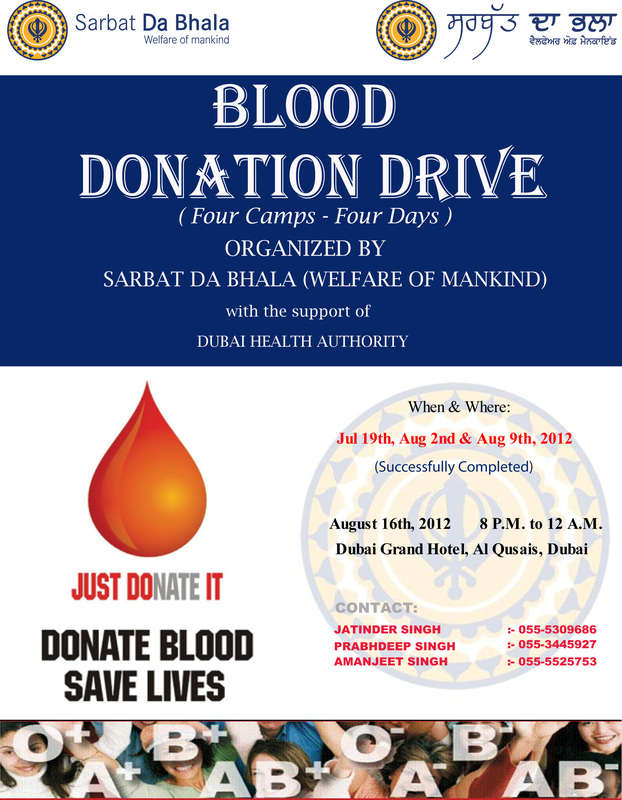 This will be fourth and last camp of special blood donation drive organized by Welfare of Mankind (Sarbat Da Bhala). Let us allow ourselves to contribute to the cause and help save upto three lives. Please call on contact numbers in the attached poster or drop me email on info<a href="mailto:info for any clarification.